British PM says will step down after current term as Brexit deal's fate remains unknown. 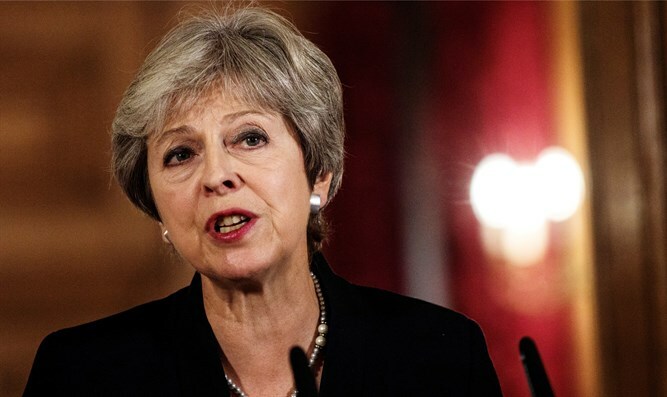 British Prime Minister Theresa May announced that she would not seek reelection in the next general elections as she faced a no-confidence vote in Parliament. She vowed to win the no-confidence vote, which was initiated at the behest of members of her own Conservative Party over her handling of the Brexit negotiations. She warned that if her government was toppled Britain's exit from the European Union could be delayed or jeopardized. Britain is scheduled to leave the EU on March 29, 2019. The two sides have reached an agreement on the separation, but the British Parliament has not voted to approve the agreement, which has left Brexit supporters unsatisfied. On Monday, May delayed a vote in Parliament on the deal over fears it would not be approved. On Sunday, May warned that failure to approve the deal could lead the government to cancel Brexit and bring Labour leader Jeremy Corbyn to power as the next prime minister. Britain's next general election is scheduled to take place in 2022 if the government is not forced to call early elections before then.